How did Uncle Tommy describe lua? What are things we all can learn from lua, whether or not we actively participate in it? Having discipline means having self-control to do what is needed. What are some activities you do that require discipline, like learning to play an instrument, cleaning your room, or studying for a test? How do you maintain discipline so that the activity gets done well? Having discipline also means doing the right thing, even if it’s the harder thing to do. Imagine you are in class and your friends are telling jokes while the teacher is talking. They say it’s your turn to tell a joke. How would you show good discipline in this situation? What can you do to better the situation? Part of lua involves being in service to others. How do you help your family, friends, and teachers? Can you think of more ways to help others? Lua reminds us about the importance of balance, so that things are stable and won’t topple over. Practice your physical balance by standing on one foot as long as you can. Time yourself and see if you can beat your time every day. When your body is balanced, you don’t fall down. The same is true for other aspects of life. The more balance we have, the better our lives are. Do you eat a good balance of fruits, vegetables, protein, and starch? Do you have a good balance of indoor and outdoor play? Hānau ʻia i Kaulua, he koa wiwo ʻole. Born in Kaulua, a warrior brave is he. Said of one born in the month of Kaulua. Have you seen a boxing match on TV? Do you have a relative that practices mixed martial arts? Or maybe you even study karate or judo or tae kwon do. Martial arts have become very popular, both as a competitive sport and as an alternative to traditional exercise regimens. Cultures from all parts of the globe have developed their own martial arts. 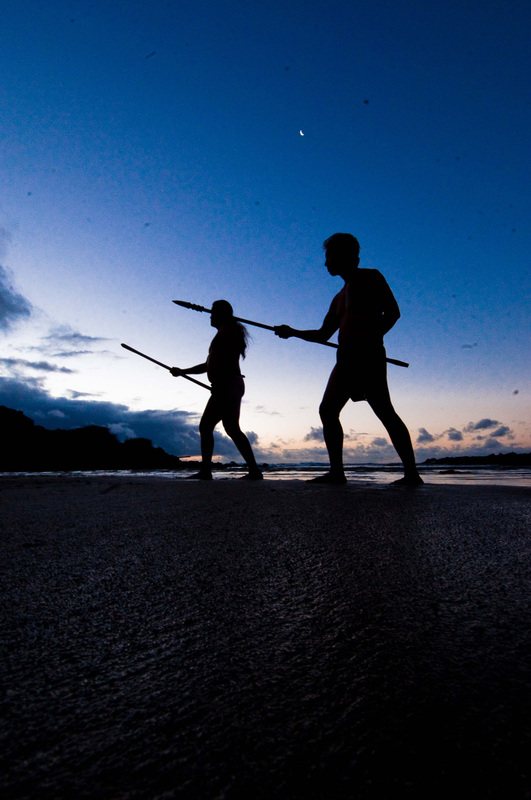 Here in Hawaiʻi, our traditional form of martial arts is called lua or kuʻi a lua. Warriors were a major part of Hawaiian society. 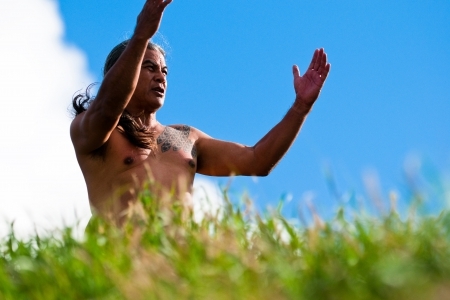 They protected very important things, like the land, its resources, and the sovereignty of the aliʻi (rulers). They had very important kuleana. If a dispute arose between two aliʻi, the koa would be called upon to defend their aliʻi and their people, even if it meant going to war. Most warriors were from the aliʻi class. Hawaiian warriors were called koa. Koa practiced a style of fighting called lua. A koa was selected as a child by experts who knew the skills necessary to be a warrior. 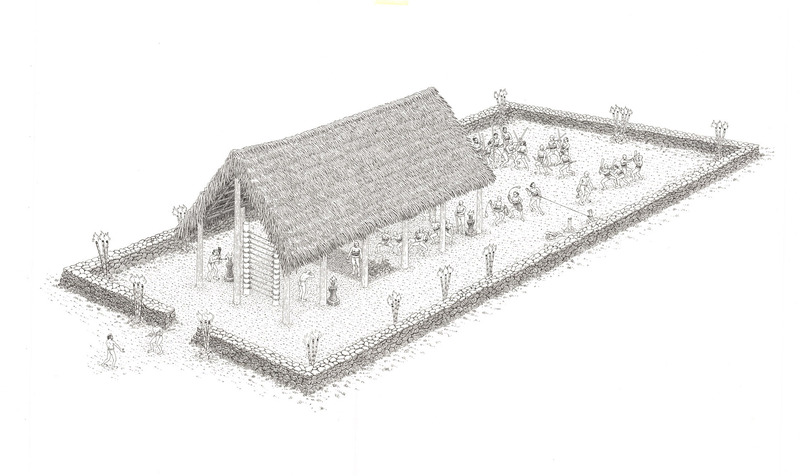 The trainees were raised in a pā lua, or training school for lua. In the pā lua, they learned techniques in bone-breaking, boxing, spear-fighting, and wrestling. They also learned strategies of war. 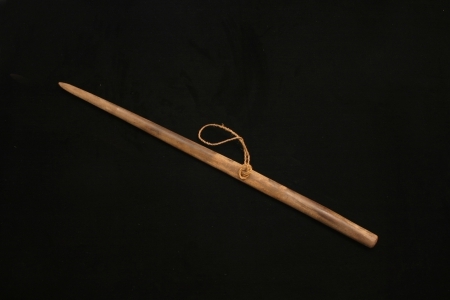 Koa became proficient in the use of many weapons, like spears, clubs, daggers, and sling stones. 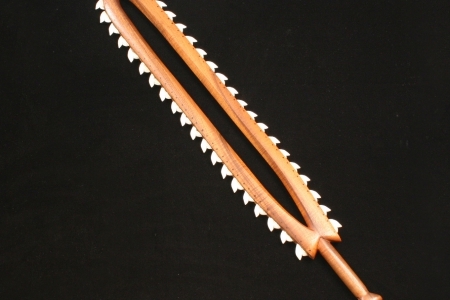 The favorite weapon of the aliʻi was the leiomano. 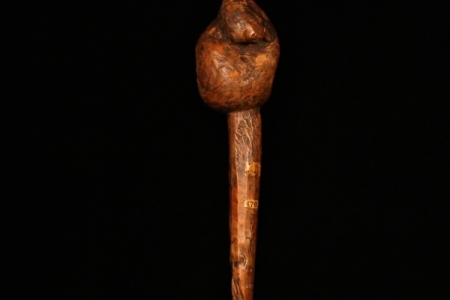 Leiomano were wooden clubs lined with teeth from tiger sharks. 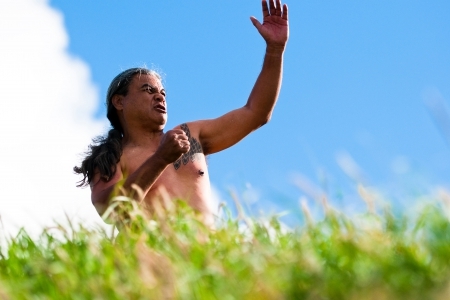 When a koa completed his training, he would go through a ceremony called an ʻailolo. The ʻailolo is a special eating ceremony to signify the completion of his training. It is similar to the ʻūniki ceremony of hula practitioners, which can be thought of as a sort of graduation. The following is a portion of the chant that is recited during an ʻailolo ceremony. Aʻo i ke koa, e aʻo nō i ka holo. When one learns to be a warrior, one must also learn to run. It is no disgrace to run when there is danger of being destroyed; perhaps there may be another day when one can fight and win. There are different accounts of where and how lua was created. 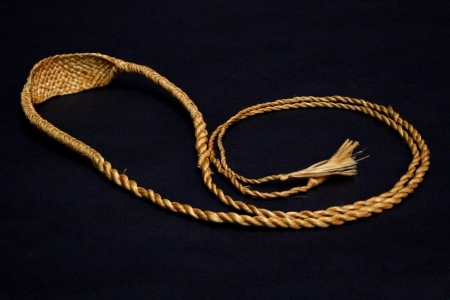 Many believe there is a strong connection between hula and lua. 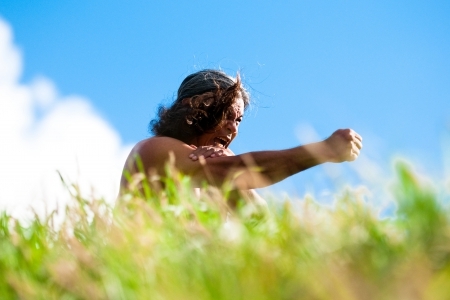 Some people think certain movements in hula kuʻi and ʻai haʻa resemble lua fighting movements. Some believe that lua was developed after the arrival the chief Pāʻao, who brought the god of war to Hawaiʻi. 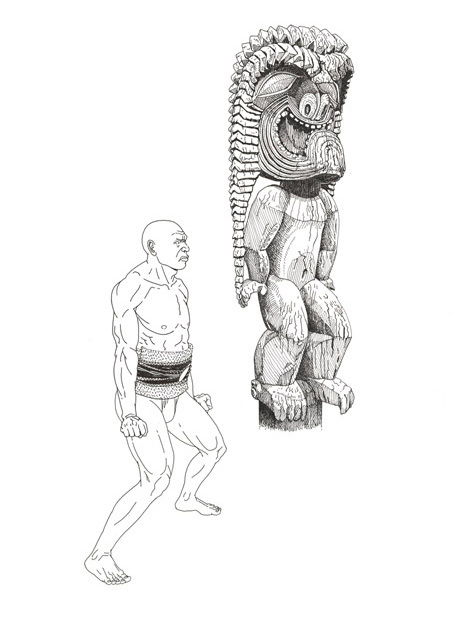 This god was Kūkāʻilimoku. He was the dominant deity that was worshipped in battles, from the time of Pāʻao to the reign of Kamehameha the Great. Four of Hawaiʻi’s most famous aliʻi—Kalaniʻōpuʻu, Kamehameha, Kekūhaupiʻo, and Keʻeaumoku—were also famous koa. He niuhi ʻai holopapa o ka moku. The niuhi shark that devours all on the island. A powerful warrior. The niuhi shark was dreaded because of its ferociousness. It was believed that a chief or warrior who captured this vicious denizen of the deep would acquire something of its nature. Koa were revered in Hawaiian society. Successful warriors were given lands and special privileges. Most full-time koa were aliʻi. These warrior-chiefs served as the pūkaua, military leaders. In times of war, the common people were trained by the best warriors. Battles were well organized. The warriors would meet on the battleground, utilizing various battle formations and strategies. Sometimes disputes were settled by a challenge between two champions, reducing the amount of lives lost. If a warrior escaped to a puʻuhonua, he would be spared from any harm. Puʻuhonua are places of refuge respected by all members of society. The success of koa was related to their personal power, which is called mana. Koa gained mana every time they defeated an opponent. Kamehameha the Great established three lua schools, which were taught by Hahakea, Namakaimi, and Napuauki. Napuauki was the teacher of the famous Hawaiian historian John Papa ʻĪʻī. He ʻaʻaliʻi kū makani mai au; ʻaʻohe makani nāna e kulaʻi. I am a wind-resisting ʻaʻaliʻi; no gale can push me over. The ʻaʻaliʻi bush can stand the worst of gales, twisting and bending but seldom breaking off or falling over. 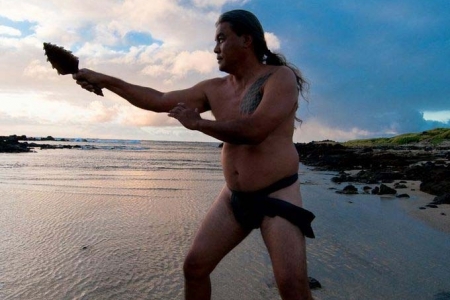 The Hawaiian warrior class was crucial in traditional Hawaiian society. 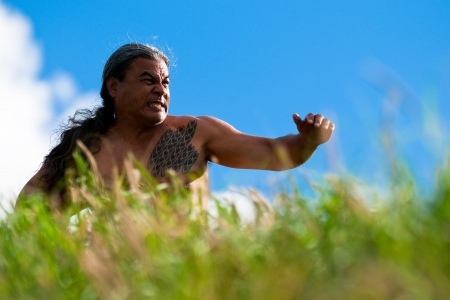 The greatest aliʻi were also some of the greatest warriors. 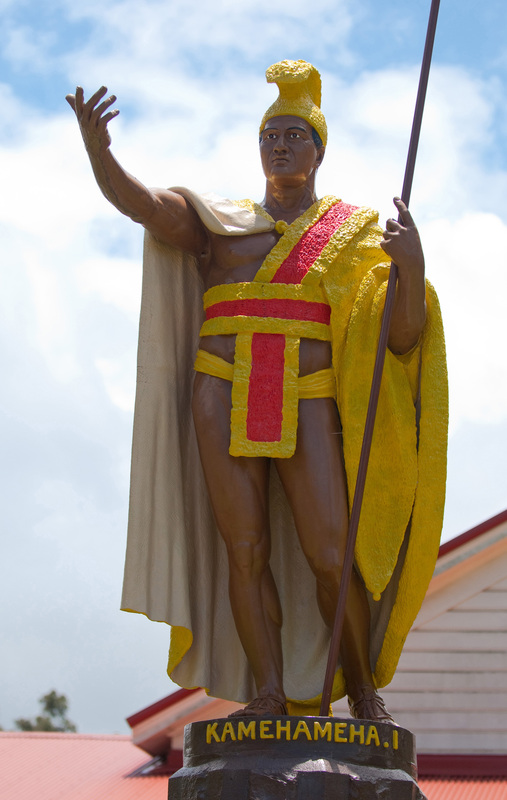 Kamehameha was the last mōʻī (supreme monarch) to go to war with other chiefs of Hawaiʻi. Kamehameha successfully united the Hawaiian Islands under one rule. This led to a period of peace. No war meant less of a need for warriors. T he arrival of Westerners also brought about many changes that affected the koa and lua. 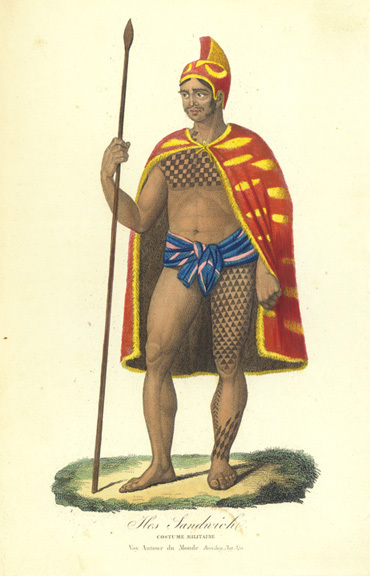 Cultural practices of kānaka ʻōiwi were questioned by the missionaries. The koa tradition was viewed as a negative profession practiced by thieves and murderers. By the early 1900s, the art of lua seemed to have disappeared. However, lua was still practiced in basements and in rural areas. 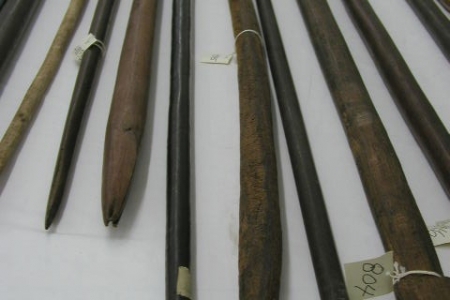 ʻŌlohe, or lua masters, continued to pass on the knowledge of their ancestors. Today there are several pā lua that teach Hawaiian fighting styles and the traditional ways of the Hawaiian warrior class. Although there have been no wars since the time of Kamehameha’s unification of the Hawaiian Islands, the skills of the koa are still being practiced. The concepts that have shaped the martial art of lua now provide guidance for its practitioners in a new way. Besides helping to keep one physically fit, lua also helps a person to stay pono—to be fit, or in balance in all aspects of one’s life. Part of the art of a warrior is the ability to choose one’s battles on the field of life. Peace and healing are other important aspects of warrior life, as is spirituality. Practicing lua also links us to our kūpuna. By continuing to follow in the footsteps of our kūpuna, we honor the knowledge and traditions they have passed down to us.